Israel Adesanya teases of a championship bout with Jon Jones. It’s been just over twelve months since Israel Adesanya made his UFC debut and the former kickboxing champion is already being primed for a super fight with UFC light heavyweight champion and former pound-for-pound No. 1 Jon Jones. 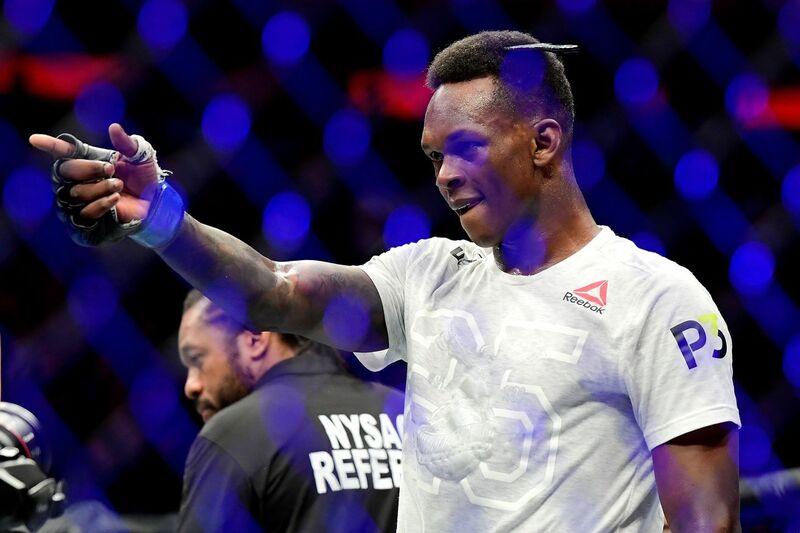 Adesanya recently beat middleweight ‘goat’ Anderson Silva at UFC 234 and the New Zealand-based fighter says he is already ‘hunting the next,’ hinting at a fight with Jones. With that said, Adesanya will not be overlooking Ultimate Fighter 17 winner Kelvin Gastelum, who he fights for the interim middleweight title in tomorrow evening’s UFC 236 co-main event. UFC 236, which features a headlining interim lightweight title bout between Dustin Poirier and Max Holloway, takes place this Saturday, April 13 at the State Farm Arena in Atlanta, Georgia.